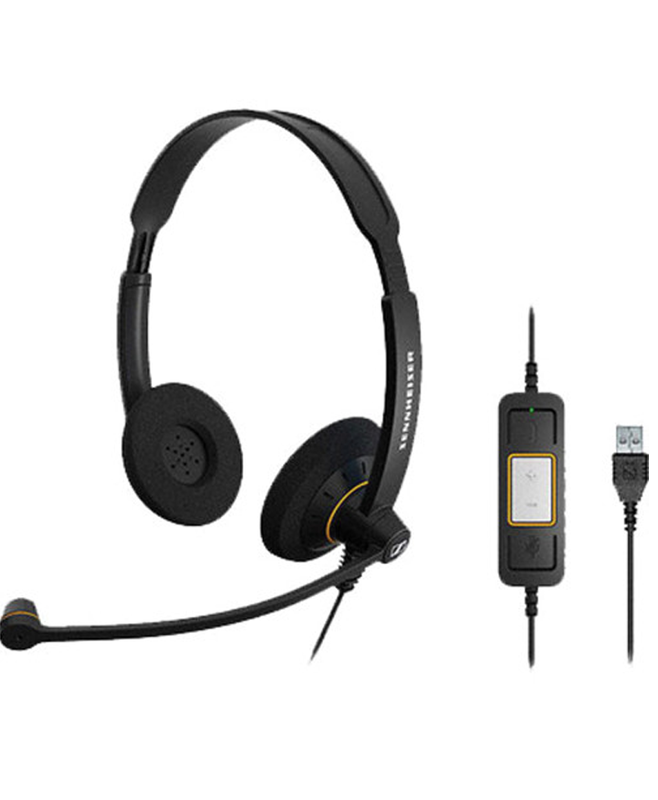 SC 60 USB ML is a deployment-friendly,dual-sided wideband headset optimized for Microsoft Lync. With integrated call control unit and USB connector the SC 60 USB ML offers great functionality and convenience with the added benefit of Sennheiser stereo sound. Optimized for Microsoft Lync – with integrated call control and USB connector. Sennheiser HD voice clarity – wideband sound for a natural listening experience. Dual-sided wearing style – for stereo HD sound reproduction even in noisy environments. Solid construction – crafted with look and feel in mind.